Black Sheep And Prodigal Sons - Old Soul Stickpin — As seen on Gossip Girl...Rich and hip! 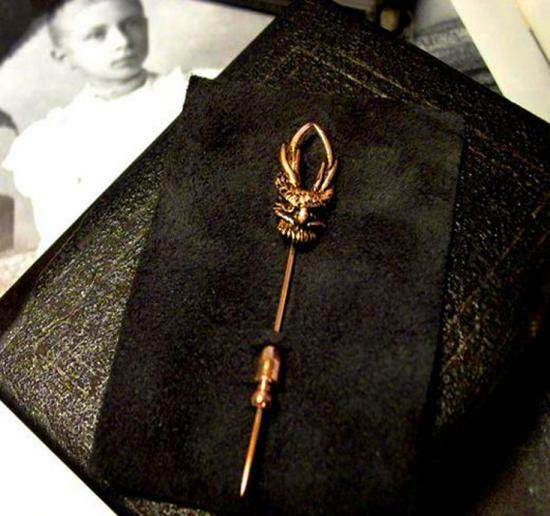 The Old Soul Stickpin by Black Sheep & Prodigal Sons Lapel, scarf and hat stickpins have been popular for over 100 years. Often purposed as a sign membership or recognition -- secret societies and governments often use them -- the pins in this collection may be thought of as tools for remembering. 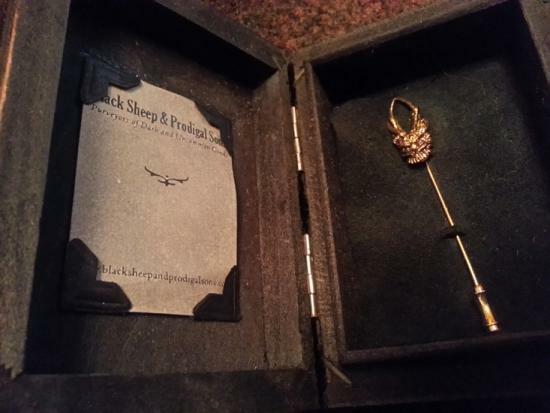 This original handcrafted charm on a stickpin measures 3 inches in length and is solid 18k yellow gold. 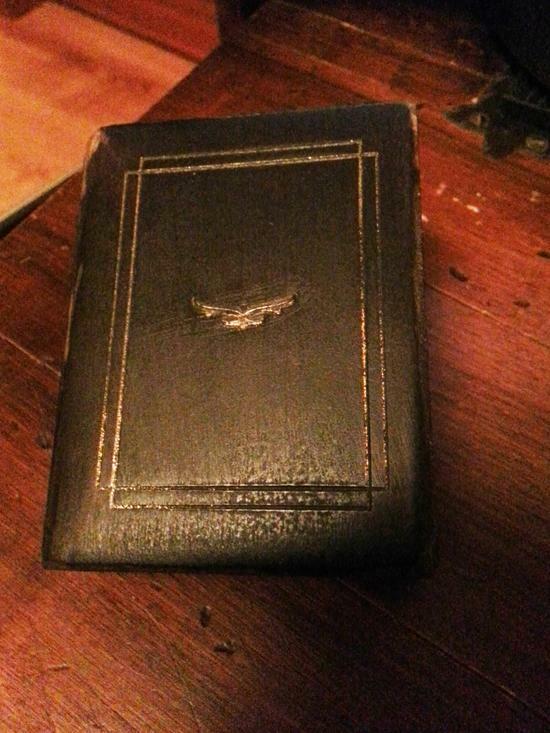 Each pin is housed in a branded and handcrafted nail-less linden wood book box that is a collectible in itself. The Old Soul stickpin comes with an alternative backing. 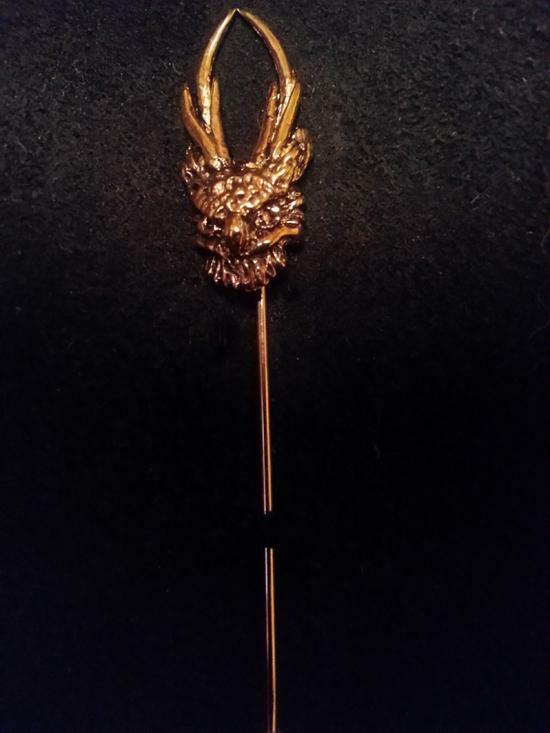 Our favorite piece....timeless and elegant accent for your most wonderous clothing.there is an extra alternative backing for each stickpin in its box This is the last one in 18K!